Fixed texture mapping on wheels. Fixed off center mapping of medium poly slow wheel. Fixed texture mapping on drivers legs. Modified left front suspension damage so it's not identical to right front. Fixed incorrect texture on #21 Exide Car in Fantasy Carset. 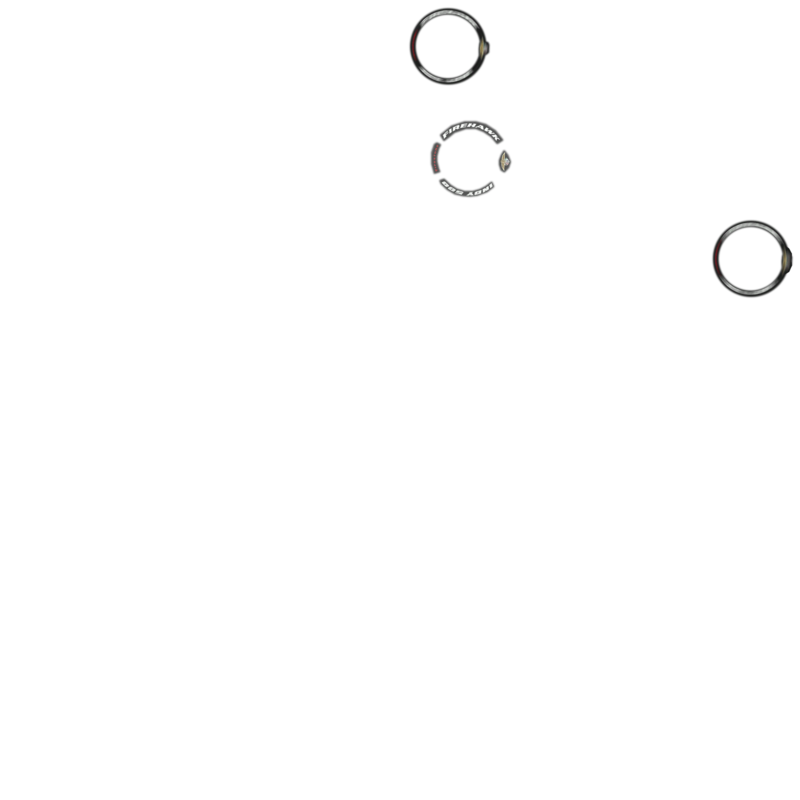 Added missing s_wheel.jpg file to carviewer x-files. Updated carviewer x-files to include new texture mapping of wheels. Added Firestone Firehawks Indy 500 tyre decal optional overlay to PSD templates. Added PSP/Gimp cutdown version of template. Added Pacecar template & x-files. 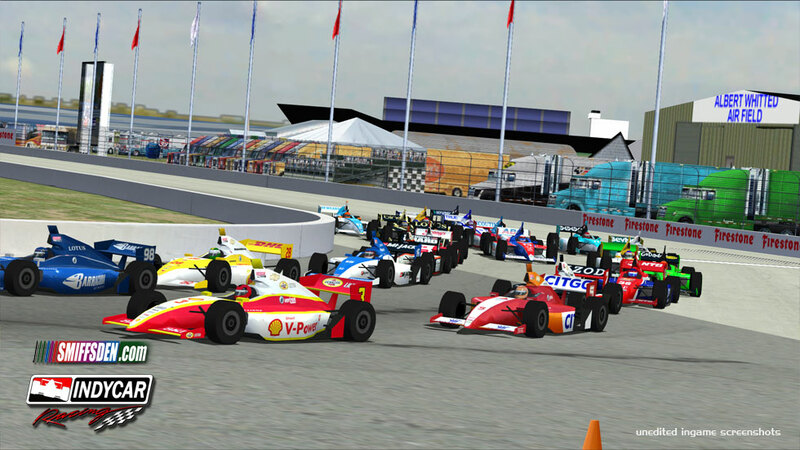 Fully rated carset including all the cars that started the first race of the 2012 IZOD Indycar Series at St. Petersburg painted as closely as possible onto the model. The mod includes 76 AI cars total, (38 Road, 38 Oval) which include the 26 at St Pete, plus 12 fantasy schemes painted by Dave Reuille. 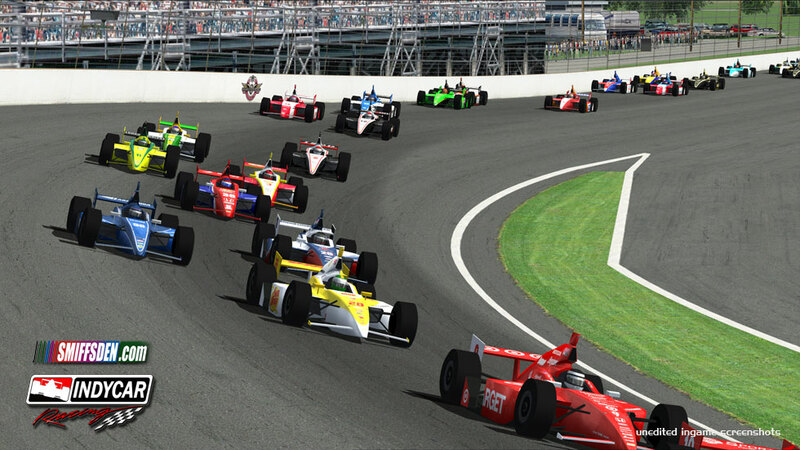 The carset is sorted into 5 Rosters, "Indycar Road", "Indycar Oval", "Fantasy Road", Fantasy Oval", "All Road" and "All Oval", select as desired for each track. 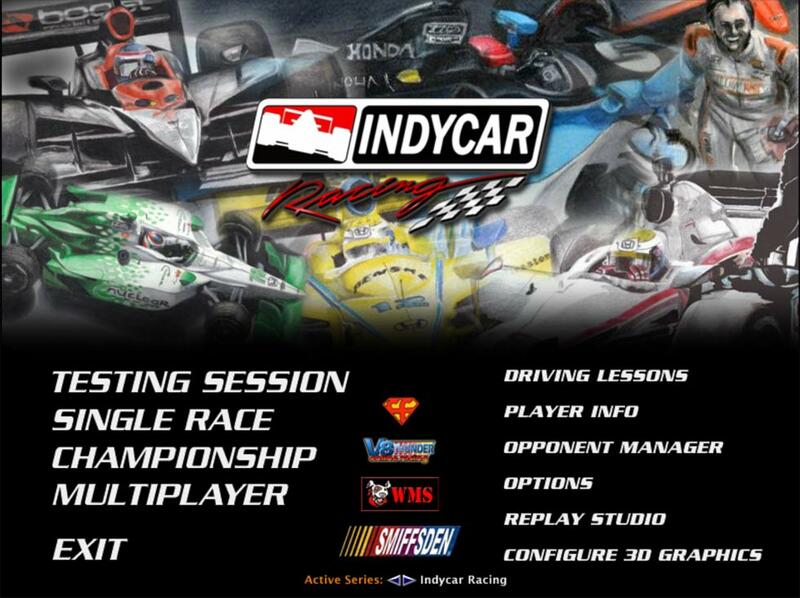 There are also two default player cars for offline use, car #1 (although the paint is #12 because the paint scheme is the Indycar DW12 R&D scheme), one road and one superspeedway, import your paint to these cars and select as necessary. Polished and improved the car model & cockpit view. Added digital type dash and hands to cockpit view. Added dual mirrors to cockpit view. Added Superspeedway specification wings in addition to Road Course ones. Completely redone wheels, damage, shadows, driving position, driver model, suspension and a number of other small things. The artwork featured on the mainback screen, and template has been used with the kind permission of Kyle O'Neill, Kyle works at the Indianapolis Motor Speedway and suffers from Cystic Fibrosis, despite this, he is able to produce some stunning drawings, some of which we have used. Kyle is an active campaigner in trying to raise the awareness of Cystic Fibrosis and the importance of organ donation, on the 4th August 2012 a charity concert is being organised in Indianapolis, this night will be dedicated to raising some funds for Kyle & the Cystic Fibrosis Foundation, even if you cannot attend, please consider a small donation to the event, you can find details on facebook here. We are very grateful to Kyle for giving permission for his drawings to be used in this project. Dave Reuille has put an enormous amount of work into the template, especially in the shading department. He also painted all 38 crews and a fair share of the cars in the car set, so thank you David, without your work this mod wouldn't be half of what it is. We have really tried to push the envelope with this mod, as a result it is very taxing on fps, we strongly recommend switching the car detail setting to either LOW or MEDIUM when racing, and leave HIGH for watching replays. 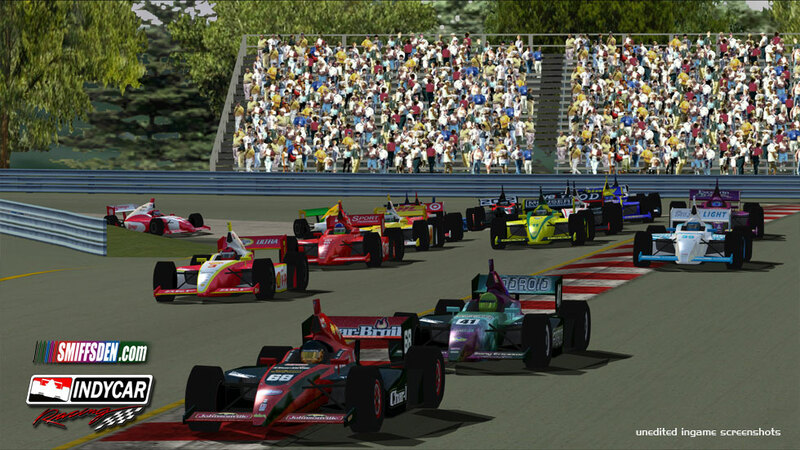 In pushing the envelope, we've discovered a few flaws in the game engine, we've seen them in other mods so it's not a new issue, but they are very noticeable with the Indycars due to their shape. The wheels and suspension can all be damaged in addition to the car body and wings, sometimes these will flicker between the damaged and undamaged state, this is usually most notable at long distances where LOD (Level of Detail) switching is going on, or where the car is taking many hits, although we've tried to keep this to a minimum, it can sometimes still be seen. The damage bears no relation to the game physics, it is all only visual, so for instance you could bend a corners suspension and wheel in to the tub but still be able to drive straight, blame Papyrus if you don't like it LOL. The shadows cast by the cars are somewhat problematic, it depends on your machine specification but if you see shadow tearing, or very very long shadows, please switch to the standard box type shadow (you can do this by copying the make_a_pta_shadow.3do file from the additions folder to the main mod folder), on other machines, they seem to cause no problems at all. The carset included is heavily compressed 2048 car paints with 512 crews, we think the cars look fine, but if you don't a RLE compression based (2048 cars, 1024 crews) set is also available to download. 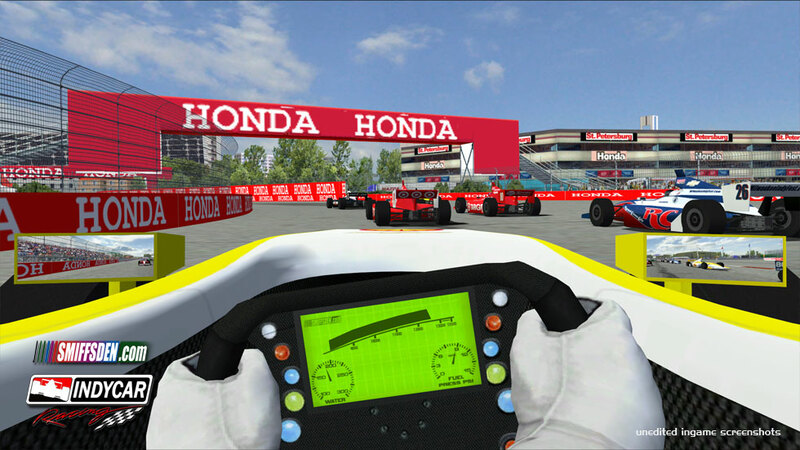 The in-cockpit view hands are tied to the Windshield Buildup tickbox in Graphics Options, to remove the hands from view, untick Windshield Buildup and just the animated wheel will remain. Unticking the Steering Wheel option will remove both the hands and animated steering wheel from view, only a static wheel with display will remain. On the AI cars, sometimes the dash display will not work correctly. Continuously switching from race to replays and back again, or restarting a race after all the cars have wrecked, may result in all the new cars displaying the full level of damage, restart the game to clear this. Oh and before you ask, no there will not be a DW12 put ingame (not by us anyway), or at least not until they improve the look of the cars with aero kits. If you are running this mod for league races and have a dedicated server (i.e. use server.exe instead of NR2003.exe) then please install the "Dedicated Server install" version of the mod instead of the full one. In testing we have found the full mod will randomly crash a server, and sometimes won't load tracks at all, we believe this to be related to the way the server.exe handles mods which is different to the regular game exe, we are still trying to narrow down the issue so created the dedicated server install for launch - but the other advantage is it's only 2MB total so saves a ton of space on the server, see readme for specific installation details. This does not need to be used if you are hosting a race over IP via the Multiplayer "Host" option from within the regular game (NR2003.exe). To use the ride height fix, ALL AI CARS should be car make 0 or 1 (Chevy, Dodge), the PLAYER car (i.e. YOUR CAR) should be make 2 or 3, this is nothing complicated, no magic or exe hacking, it's simply that carmake id 2 & 3 is jacked up so that when you get on track, your car is visually the same height as the AI, thus creating a realtime PTA ride height fix. 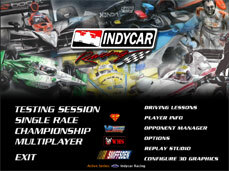 If you are racing online, then everybody online should be using 0 or 1, anybody who uses make 2 or 3 online looks like a super truck on steroids, to fix online replays there is a tutorial on my website which involves hex editing one bit in the replay file, it's quiet easy to do and will restore your car to the same ride height as everybody else in the race. This is a special model that has no LOD's (Level of Detail), it's primary use is for screen shots and videos, it would probably kill your FPS if you tried to run it in a game, to use it rename the file to make_a_pta.3do, rename it back after use to revert to the optimized models. Mike24 from SimRacingDesign.com for permission to use the Penske and other numbers in the carset. Pete Hillesheim for permission to use his IZOD Indycar Series decals. Shane at Revamped Reloaded for use of his mainback NR2k3 logo. To anyone else whom we may have unintentionally neglected to mention but contributed in the creation of objects or textures that have been borrowed from other NR2003 projects for this project, we sincerely apologise. Although you were not mentioned individually, your contributions to NR2003 and this track are greatly appreciated. 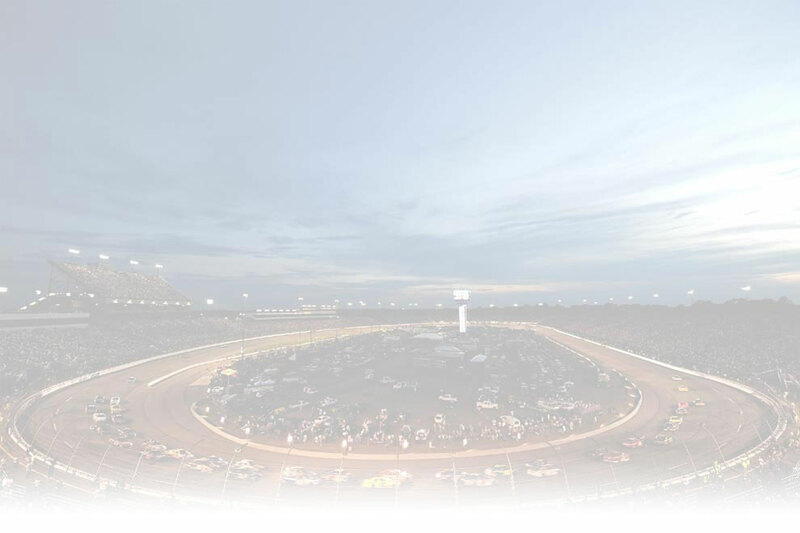 Be sure to checkout NR2003 Tracks - http://www.nr2k3tracks.com for all your up to date Nascar Racing 2003 Season mods and tracks, please report any issues with the mod in the Indycar Racing forum thread there or SRD.